I just found out about this great video that the new generation of EWB-Sheffielders have made. Fantastic to see that the two projects that I put so much of my time and effort into are still going strong. The pedal powered water pump that I worked on for my MEng thesis with the Guatamalan NGO, Maya Pedal, has now been developed further and adapted to meet the needs of rural Malawians by a number of students in partnership with a different NGO, Butterfly Space. The wind turbine project has now evolved into an international competition on par with the Formula Student racing car team that were always hard at work in the workshop next door to us. I had a great time with EWB-Sheffield and am really glad to see that others are still getting just as much from it. After 10 years, spanning an undergraduate degree, a PhD and a fellowship, it was finally time for me to move on, so Friday 6th Feb was officially my last day at Sheffield University. Its been an incredible experience, so I would really like to thank everyone who has made my time there so memorable. The annotated poster that I used to have on the wall next to my desk. Each card/orange arrow represented an organisation or individual who was actively working with small wind for rural development so that I could remember who was doing what and where. Of course, the Wind Empowerment association now does a much better job of not only identifying these actors, but also linking them together. However Wind Empowerment didn’t exist back in 2010 when I began my research in this area so this rustic “visualisation tool” was actually “state of the art” back then! One of my fondest memories from my time at Sheffield University was being a member of Engineers Without Borders. Not only did it teach me how to apply engineering skills to solve real world problems that affect a huge number of people around the world today, but it was also a lot of fun. Working with a group of people who were so motivated to change the world meant that we were able to achieve an incredible amount in a relatively short time. When I joined Sheffield University in 2004, nobody had heard of EWB. By the time I finished my undergraduate degree in 2008, a local branch was active, but not many people outside of this group knew who they were. In 2009, EWB-UK offered me a bursary to travel to Guatemala to develop the design for a pedal powered water pump that I had worked on in partnership with the NGO, Maya Pedal, for my final year project. However, it was in 2010 that EWB-Sheffield really took off. Emily Nix became president and managed to steer a highly motivated team in the right direction and really drive things forward. The number of projects rose from 2 to 5 during this year, we ran our first international project (the Guatemala wind project) and our spectacular showcase event ensured that by the end of the year, the entire Engineering Faculty knew who we were. 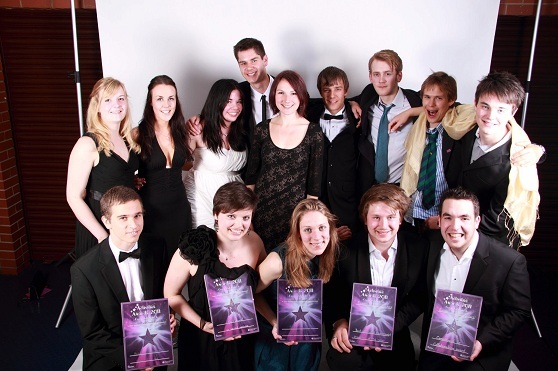 Its no surprise that we won Society of the Year and 4 other awards that year! The winning team from 2010/11 (minus my ugly mug as I was off in Scotland at the time). At the risk of sounding like an OAP: back in my day, we didn’t have anything like this. We simply took exams in January as well as June. It was really boring! The EWB Challenge is a fantastic opportunity for students to work in interdisciplinary teams (just like in the real world), to come up with innovative solutions to real world problems and communicate them effectively to others (just like in the real world). It took me a long time to figure out that the skills I was learning as a mechanical engineer were in demand (and I’m not talking about by big private companies here) and even longer to figure out effective ways of working with others to apply these skills to the right problems and communicate the findings. Those who participated in the EWB Challenge really are getting a great headstart here, so it makes me really happy to know that we really did change something in the world: we added the global dimension to engineering education at Sheffield University.